Get your side hustle on with this handy guide that gives you hundreds of ideas on how to make extra cash—and have fun doing it! Do you work a regular job, but still find yourself wishing you had a little extra money? Or maybe you just want some extra fulfillment after hours that you just aren’t finding in your 9-5. A second job—also known as a side hustle—might be the answer! Learn how to take advantage of the gig economy and turn your time, space, skills, or stuff into extra cash. 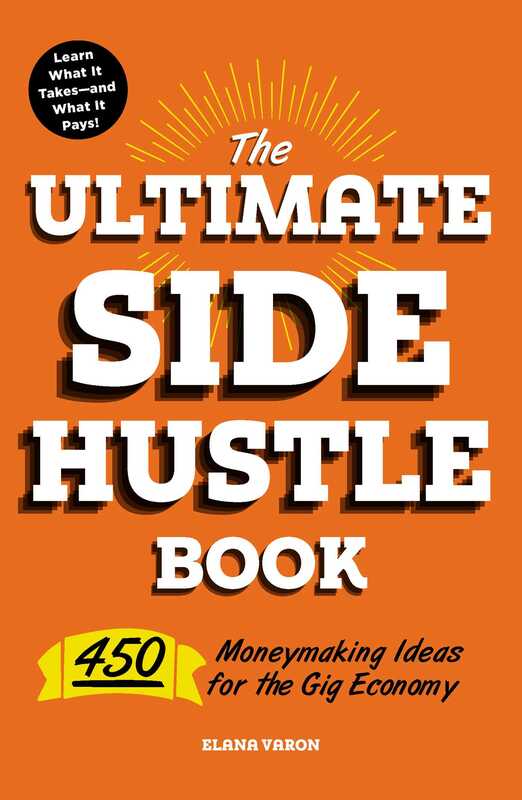 The Ultimate Side Hustle Book presents up-to-the minute research on 450 fun, resourceful, and often rewarding side hustle jobs, including detailed information on the skills you need and experience required for each, how easy it is to find work, and of course, pay rates—all in an easy-to-read and fun-to-use format. In addition to helpful facts and figures, you’ll find real-life anecdotes and tips from successful side hustlers sprinkled throughout. From dog walking and tutoring to vehicle advertising and refereeing recreational sports leagues, you’re sure to find that perfect side hustle that fits you and your lifestyle. "Varon’s new book goes into the what, why and how of side gigs, as well as real-life stories from those who have taken them on." "Serves as both a primer on the gig economy and side hustling, as well as a reference meant to be revisited."